Very good turnout for the Ladies, Youth and Newcomers Regatta on Saturday. Late start due to the clear up operation after the Egyptian geese had visited the island yet again. More wind at the start of first morning race but died off as the race and day progressed. Sailing fleet as follows Brian (Laser), Ollie (Laser), Ben (Topper), Ents John & Claude, Sophie & Ian plus Amelia & Colin with Amelia taking the helm. Colin had full confidence in Amelia’s ability as he crewed in the clothes he arrived in and no life jacket. He may have had second thoughts as Amelia performed a truly amazing racing turn down at the D marker which she later admitted to being totally out of control. Spotting the photographer on the safety boat Ollie managed time to re-adjust his hair style before the website photos were taken. John and Claude managed an impressive roll tack which saw Claude frantically bailing out the gallons of water that had gone on board but despite a valiant effort they had to retire. GP boats Maureen & Sue, Noah & Jonathan and finally the Merlins Lizzie & Phillip and Deidre & John. Race 2 saw Deidre perform a spectacular back flip as she missed the foot straps and tumbled backwards out of the boat. The safety boat took to the water to remove part of a large tree that was making its way downstream causing one or two boats some tricky manoeuvres. Well done to Ben who not only sailed in all 3 races but could be seen out on the Topper still practising until being dragged in for the BBQ. Deidre (already wet), Amelia, Lizzie and Maddie performed Hampton Sailing Clubs version of the ‘Ice Bucket Challenge’ by jumping off of the club balcony into the cold Thames below. See video now published on Facebook. Rain held off until after the BBQ. Thanks to Keith, Dimitri and John H for a great job cooking all the meats (without burning) and to the GP fleet ladies (+ Derek!) for providing the wonderful array of salads. Thanks and well done to all involved, pictures now in Gallery. 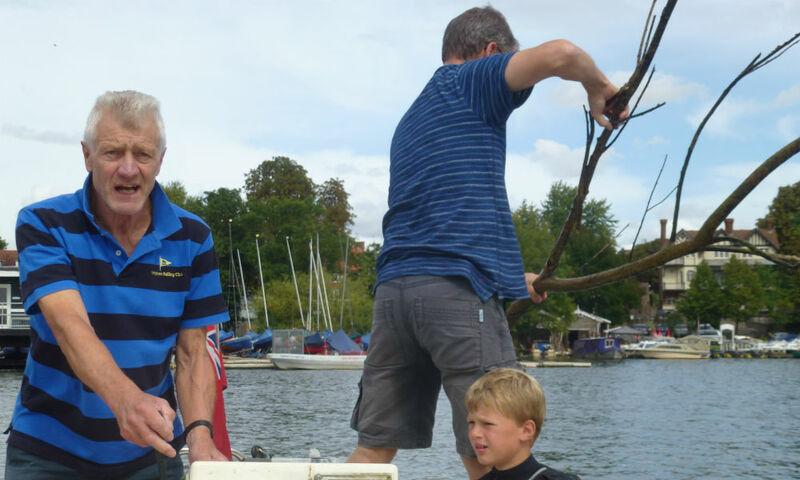 This year saw the introduction of a new category which included all members who had participated in all the Newcomers and Improver sailing courses recently held on Saturdays. 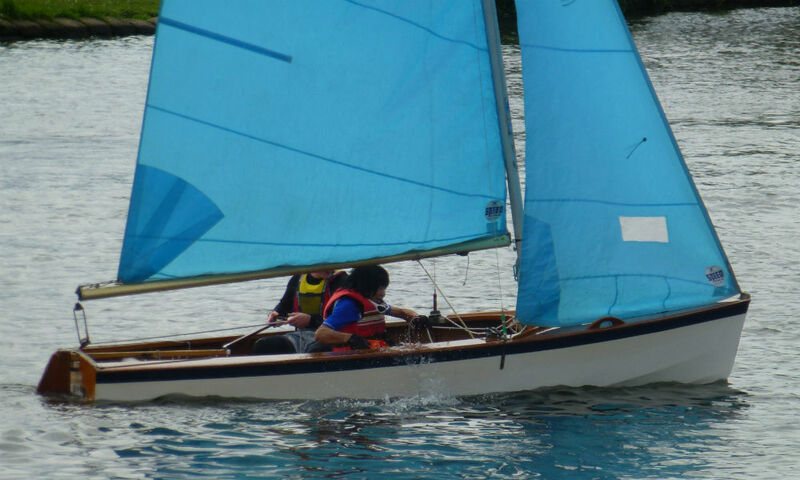 This entry was posted in Youth and Ladies Regatta by Karen Comber. Bookmark the permalink.